SATS faces a lesser degree of structural disruptions vs. other Singapore companies like ComfortDelgro, SPH and SingPost. Its lion share in Changi Airport helps. However, pressure from passenger yields may trickle down to SATS’ margin as SIA combats fierce competition from regional airlines. Delta’s route cuts to/from Narita could lead to weak utilisation in TFK’s kitchen. Earnings decline in FY18 and anemic growth in FY19-20 do not justify lofty valuations of 21x forward P/E (+1 s.d. of 5-year mean), and 3.5% yield is not compelling. Downgrade from Hold to Reduce, with a lower target price of S$4.24, based on 18x CY19 P/E, or 5-year mean, pricing in potential positives from Terminal 4. The de-consolidation of its 51% stake in ground handler, SATS HK, from 2QFY18 could reduce revenue by S$45m p.a. but is unlikely to post as significant margin savings as BRF which contributed c.S$150m p.a. of revenue previously before the transfer in FY15. The food distribution business also soaked up higher costs, including raw materials (meat and poultry) and other costs (fuel, transportation, chiller costs) which dropped accordingly from the de-consolidation exercise. Key costs savings from SATS HK are likely to come from labour and warehousing. Will Changi throw in more rebates? SATS enjoyed 20% franchise fee rebates from CAG from 1 May 15 to 31 Mar 17 for flight catering and ground handling. This reduced its licence fees by S$10m p.a. from c.S$77m p.a. in FY13-15 to S$68m in FY16-17. The latest aeronautical charges published by CAG on 13 Sep 17 showed no new rebates. We believe there is little incentive for CAG to resume service charges rebates like in 2015 given the strong volume growth of c.10% in flights handled since then. The rebates were much needed in 2015 from a persistent yoy decline in the number of flights from 2013. We believe perks are also unlikely as CAG could incur higher operating costs ahead with the opening of Terminal 4 by 31 Oct 17. The rise in LCCs and no-frills travel trend with no meals and self check-in kiosks could reduce the demand for customer-facing experience and services from SATS in the long run. However, the lack of a cheaper and more efficient alternative ground handler operator enables it to dominate c.80% of Changi Airport’s market share. ASIG and Swissport’s failure to enter the market over the years has proven that customers can still be sticky and SATS may still be the most efficient operator, riding on SIA’s volume (35-40% of its revenue). This sets SATS apart from other Singapore peers that have faced structural disruptions - ComfortDelgro battling against Uber and Grab and the eventual shift away from physical mail for SingPost and print for SPH. SATS and SIA are due to renew/extend their five-year ground handling and inflight catering contracts at Changi Airport which were signed 1 Oct 12. The contracts had an option to extend for another five years. We believe that the renewal or extension is likely to entail some form of rate cuts, especially on the full-service front, given SIA’s declining passenger yields since Mar 12. We note that inflight meals and pax cost for SIA declined from 3.05 Scts/ATK (Available Tonne Kilometres) in 2015 to 2.78 Scts/ATK in 2017. We think SATS could face an uphill battle in TFK Japan as more airlines are cutting routes to/from Narita, or switching to Haneda, which resulted in an 11% yoy decline in its revenue in 1QFY18. Delta has ended its service to Taipei from Narita since May 17 and recently announced plans to end Guam and Shanghai routes from 2018. JAL also plans to cut its Narita/Seoul Incheon route from Mar 18, citing competition from Low Cost Carriers (LCCs) and has reduced its frequency from JFK to Narita by half since Apr 17. Qantas exiting the Dubai hub and reopening the daily Singapore-London flight in Mar 18 to supplement the Perth-London route could add volume to CAG. SATS was servicing Qantas’s meals before the carrier switched its Australia/London route from Singapore to Dubai in Mar 13. SATS’ gross meals produced dropped by 0.5m per quarter from 1QFY14-4QFY14 (c.2m p.a.) as a result of the diversion. We believe Emirates-owned DNATA will also be eyeing an inflight catering contract with Qantas. Changi Airport’s cargo volume continued to charge upward from a low-base effect after being in the doldrums for the past few years. SIA’s c.4% yoy growth in cargo volume is not a surprise and we have factored in 6% yoy growth in gateway revenues for FY18. The yoy improvement will most likely moderate from FY19 given that the upswing began in mid-2016. We are forecasting more sustainable growth of 5%. Profit contribution from gateway associates was up 16% yoy and 29% qoq in 1Q18 to S$12m. We forecast 19% yoy growth in profit contribution in gateway associates for FY18 as regional cargo throughput volumes remain firm. We review our assumptions and pen in slower revenue growth from food solutions on the back of potential rate squeeze from SIA in the upcoming renewal in Oct 17, in addition to weaker revenues from TFK. We also lower our EBIT margin to 13% from 13.4-15% for FY18-20 to account for higher staff costs as wage growth may accelerate ahead in 2018 as sentiment and overall GDP growth improve in Singapore. Our EPS is cut by 2-13% accordingly. Upside risks to our Reduce call are earnings-accretive M&A, rebates from Changi Airport and non-core gains. 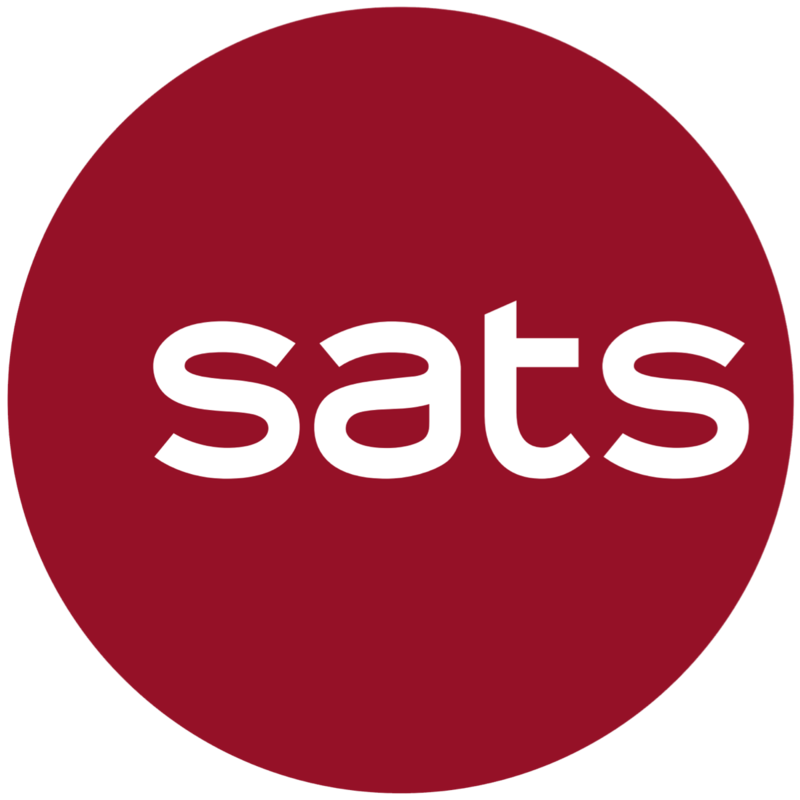 We think SATS’ valuations are likely to de-rate on the back of uninspiring earnings growth of less than 5% p.a. from FY18-20F. We now peg the stock at 18x (recent 5-year mean) and roll forward to CY19. Our previous valuations were based on a blend of DCF and 19x CY18 P/E. We think it is too early to price in the volume jump from Terminal 5 as it will only kick in by 2027 (two years after its opening in 2025).